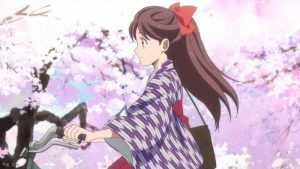 In addition to the previously-announced U.S. screenings, the Haikara-san: Here Comes Miss Modern anime film will be screening in Canada this June. ELEVEN ARTS Anime Studio licensed the North American distribution rights, and Canadian theater chain Cineplex announced a June 8 release date for Part One. Based on Waki Yamato’s classic shoujo manga Haikara-san ga Tōru, the Haikara-san screenings will be presented in Japanese with English subtitles. You can find out more on the official website, and check out the new poster below.